The fort stands opposite to the banks of Muchkundi river and as the main aim of this fort was for vigilance purpose the size of Satavli fort is relatively small. The fortification wall was built by placing stones one upon another and thus due to poor strength the walls and bastions are in ruins currently. There is a huge tree in front of the entrance door, a well next to it and there are two bastions in a dilapidated condition next to the door way which too stands in a poor condition. A carved stone can be seen on the back side of the tree which resembles a part of a temple pillar. Moving ahead we come across remnants of structures. The five bastions of the fort are in poor condition and cannot be reached due to dense vegetation cover on the fort. While coming towards the fort from the village we can see Veerghals, Satighals and some idols kept on a raised platform. Also there is a canon kept near Vitthal-Rakhumai temple. Satavli is 18 kms from Lanja which is a major town on the Mumbai-Goa highway and regular buses ply from Lanja and Rajapur for Satavli. The buses from Lanja are more frequent than Rajapur. 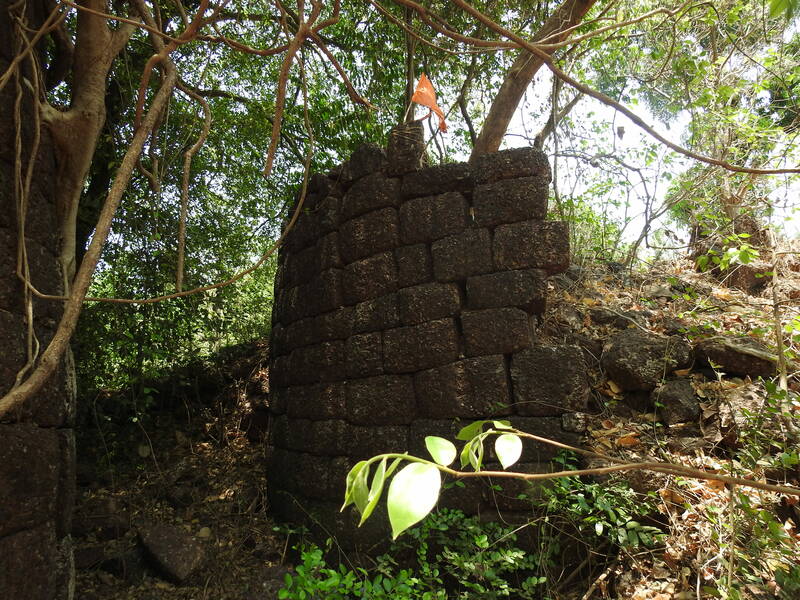 Also, a road from Lanja goes via Satavli to Nate village where Yashwantgad is located and Ambolgad fort. The road which takes us to the village opposite the school in Satavli further leads to the fort entrance in 5 minutes. With one�s own private vehicle forts of Satavli, yashwantgad (Nate), Ambolgad, Purnagad can be visited in a day. Overnight stay option can be considered at Ratnagiri.